Many of us are trained to think of car salespeople as no better than pond-scum. The truth is most car salespeople are just regular folks who are trying to pay the bills, sure there are still some relics out there but times are changing. Some of them are honest. Some of them are car-enthusiasts, you may even find a few on Jalopnik. That is correct, dear reader, your favorite Jalop commenter just...might...be “the enemy.” But they are not “the enemy,” they are, more often than not, a product of management. We have all experienced or heard about the “stealerships;” however, it is time we examine who is really behind all the car-buying hassle. How many times have you heard this, “Well, I have to talk with my manager about that…” And then then he/she disappears into some room and you are waiting for what seems like an eternity. Often the salespeople on the floor can’t make any “real” decisions regarding pricing and discounts All of that is up to the managers. It is the managers’ sales philosophy and training that mostly determines how the sales staff interacts with you. Does that mean you should have your guard down with talking with salespeople? Absolutely not, you should be the most informed consumer you can be when you walk onto that showroom. 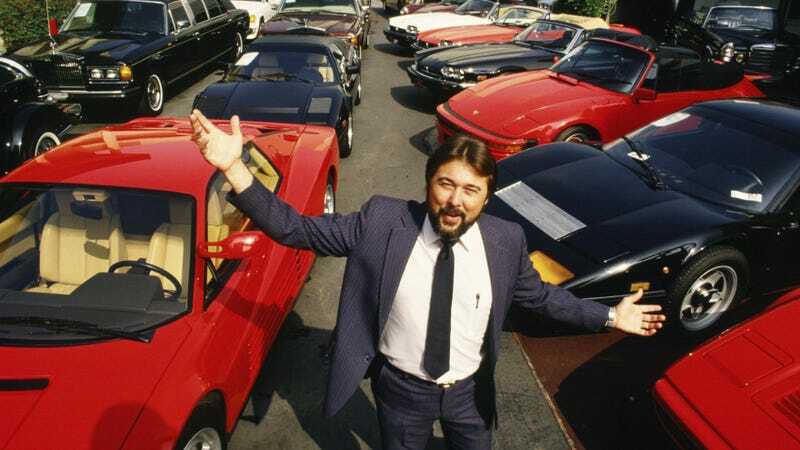 Remember, knowing product is not the same as getting a good deal on a car most of us can stroll into a dealership and spout off specs about our favorite car that they sell. Sure, it is fun to out-geek the the old dude selling BMWs but that won’t lower the price. What you should not do is treat the salesperson with disdain, this results in a no-win situation for anyone. If they are trained well, they will size you up the minute you exit your car. They are calculating the probability of making a sale with you today. If you roll up with that attitude that “you are going to make them pay, and pay dearly for being a salesperson” they will very subtly make it so they can move on to someone else. If you are just there to test drive and not buy, tell them. If the car is not for you, tell them. If you are nice about it most of the time they will be too. Car buying is a negotiation, the parties must respect each other (notice I said respect and not like). Unfortunately it is the managers, and their policies, that disrespect the customers. Your time is not respected because they make you “wait” to get an answer. Your intelligence is not respected because they say things like, “Oh yeah those rear-drum brakes on a 24k Jetta, those are the newest thing. All the high-end manufacturers are moving to that” (I’m not kidding, someone actually said that to me). This next part is directed to the dealership managers….I realize that many of you think you have a successful business model and you don’t care what I am about to say. Hey, you are selling inventory everything is cool, right? Wrong. In case you have been living under a rock for last decade or so, there is this thing called the internet, and it has made smarter consumers. And guess what, car-buyers don’t have to show up at your dealership to shop anymore. The percentage of car-buying transactions originating on the internet is rapidly increasing. If you, the dealership, don’t adapt and learn to respect your consumer there is bad times ahead. Customers are going to ask you for price quotes...give them the damn quote. Let me repeat that...GIVE THEM THE DAMN QUOTE. I know you hate this idea, but I broker deals all the time, when I make contact, do you know who usually gets the sale? The dealership that responded to me with the most aggressive quote first. Consumers- Get as much info as possible before you go to the showroom. If the dealership won’t provide it, go somewhere else. And please don’t treat all salespeople like they are some sort of subhuman species, some of them actually want to help you get a good deal. Dealerships- Respect your buyers by giving as much info as possible in a timely manner before the customer arrives at the showroom. If you do not, THEY WILL GO SOMEWHERE ELSE! My name is Tom and I run AutomatchConsulting.com. I am a professional car-buying consultant, which means people pay me to help them select the right car (NO YOU CAN'T HAVE A PRIUS) and negotiate with the dealerships to get them the best price. If you have any other questions or suggestions for future posts about the car-buying process please let me know. You can find some of my other posts on car-buying here.